This light and fluffy crop top by Kelly Brook for SimplyBe is perfect for a winter look here in Florida, without being too heavy. The length is just right and I love the longer sleeves. 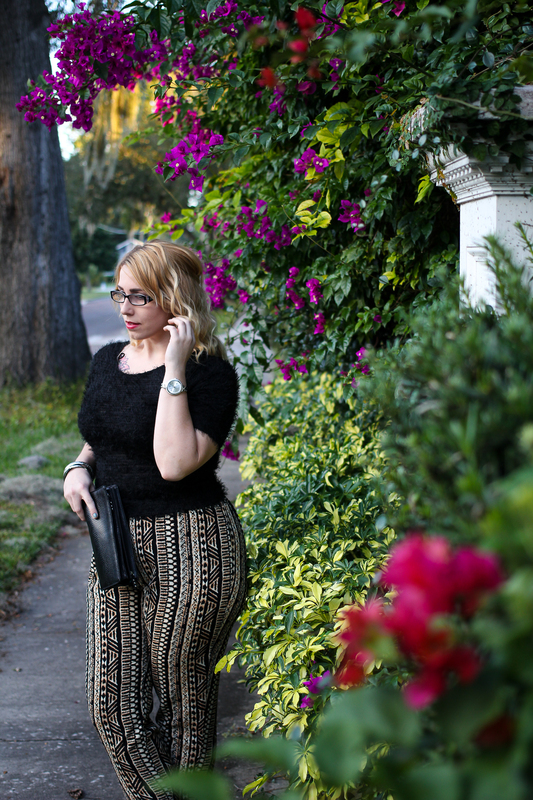 Tribal pants are from Envy My Curves boutique, which has a bunch of great deals on stylish plus items.